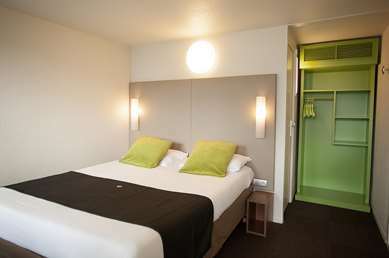 Entirely renovated in 2012, our Hotel Première Classe Strasbourg Ouest - Zénith is located 500 yards from Zénith Europe de Strasbourg and under half a mile from the Hautepierre Maillon tramway terminus leading to downtown (line A) and the SNCF Strasbourg Roethig train station just 10 minutes away. 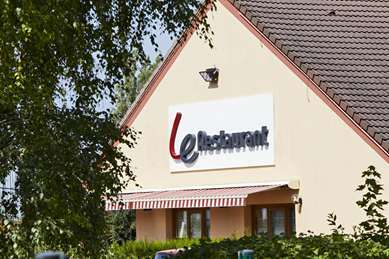 The hotel is easily accessible by exit 4 off highway A351 and is just 15 minutes by car from the International Strasbourg-Entzheim Airport. The European Parliament and Convention Center are both just 10 minutes away from our hotel by car. The German border is 6 miles away, which is just 13 minutes by car from Strasbourg. 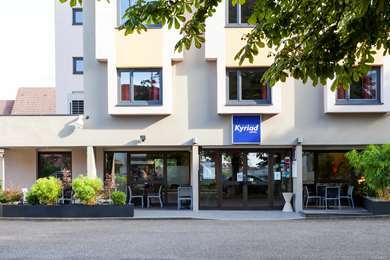 We are located just 40 minutes by car from the famous Europa Theme Park, and 2 hours from the Francfort and Stuttgart airports. From our hotel, you can easily reach the prestigious ENA school, which has been in Strasbourg for many years, as well as many universities. 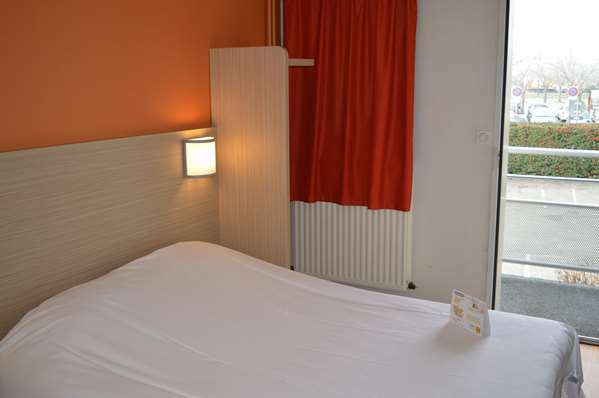 The environment of the Hotel Première Classe de Strasbourg Ouest - Zénith is rich and varied. 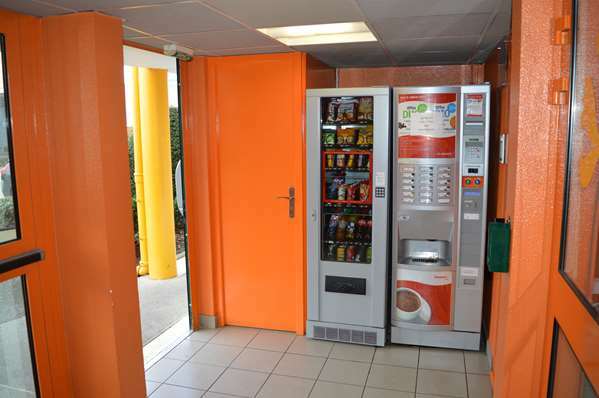 Within walking distance, you will find Zénith Europe (5 minutes away), a shopping center (10 minutes away), restaurants (2 minutes away) and a sports complex swimming pool and tennis court (half a mile away). 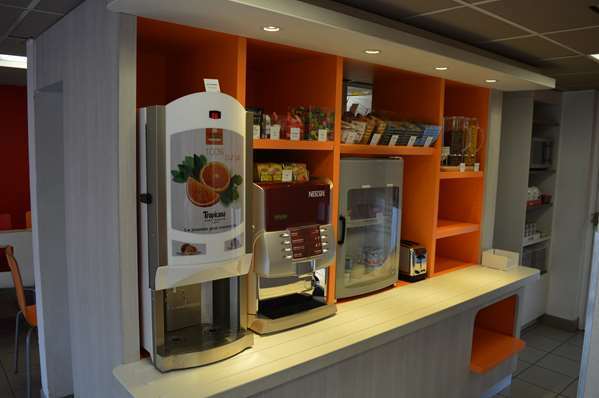 Located in an commercial area, our hotel will allow you to take advantage of numerous name brand shops. 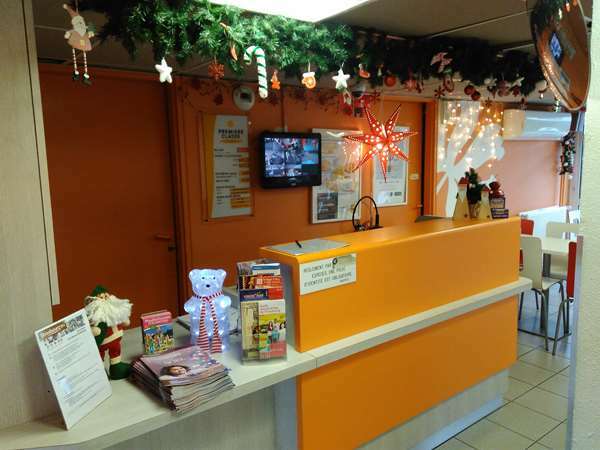 Hotel Première Classe Strasbourg Ouest - Zénith, is open 24 hours a day, and has 82 rooms all equipped with private bathroom with shower, toilet and sink, free Wi-Fi, and a flat-screen TV with Canal+ and CanalSat. Free enclosed parking is available. We have just one rate for rooms accommodating 1, 2 or 3 guests, which should please both family and business travellers. A modern, colorful and functional breakfast room, seating 34 and overlooking a terrace where you can enjoy sunny days, is available. 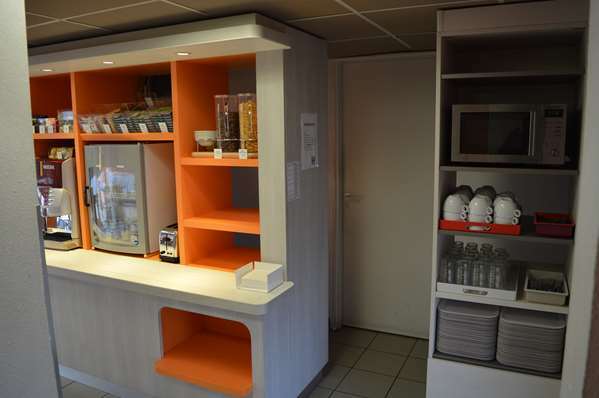 Newspapers, magazines and a flat-screen TV are there for your entertainment during breakfast. 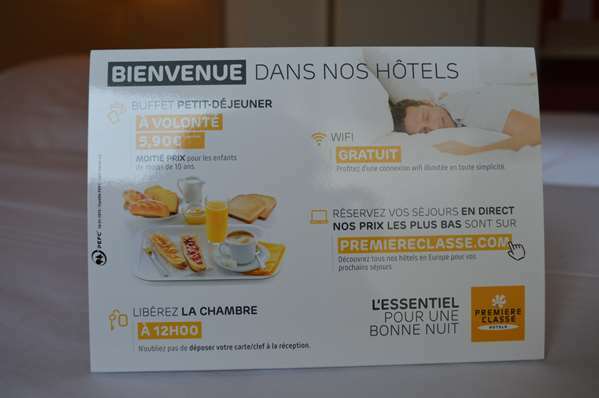 To get the best rate available in Strasbourg, reserve your hotel online or download the HotelForYou app on your smartphone (iPhone and Android devices). We wish you a pleasant stay in Strasbourg. Renovated in early 2012, our 82 rooms are all equipped with a bathroom with shower, toilet and sink. 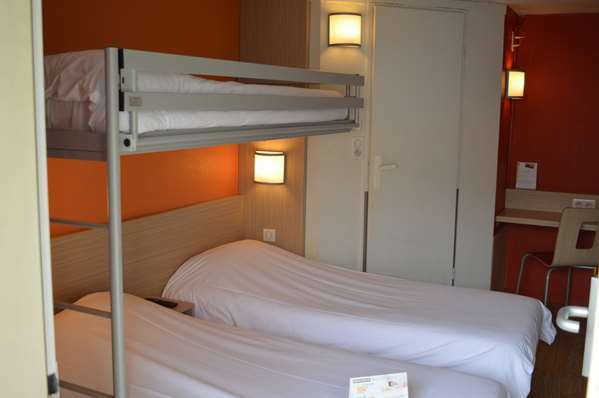 The rooms have large beds or separate beds that accommodate 1 to 3 guests. 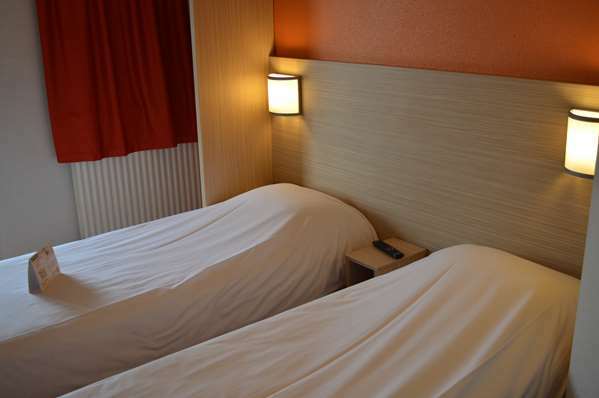 For our family, business and group clientele, we also have connecting rooms. Our hotel offers 3 wheelchair accessible rooms for people with reduced mobility with a spacious bathroom equipped with a shower seat, a spacious bedroom with an adapted bed. Each room has a private bathroom with shower, toilet, sink and mirror. 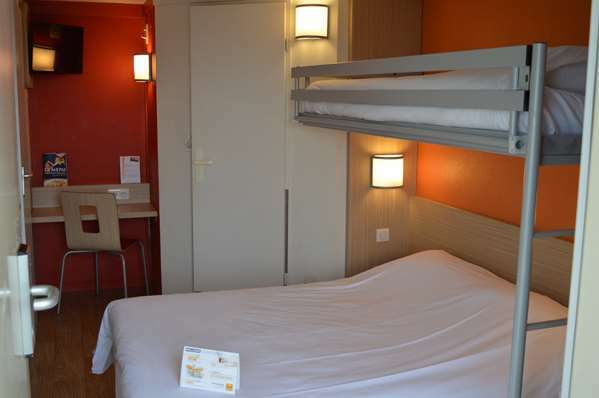 The bedroom space is furnished with a desk with two outlets, a flat-screen TV with Canal+ and CanalSat channels, and a wardrobe. All our rooms are connected to Wi-Fi so you can surf the net for free. Have stayed here many times. 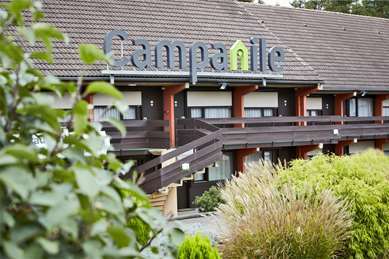 Easy access from motorways, good value for an overnight stopover. 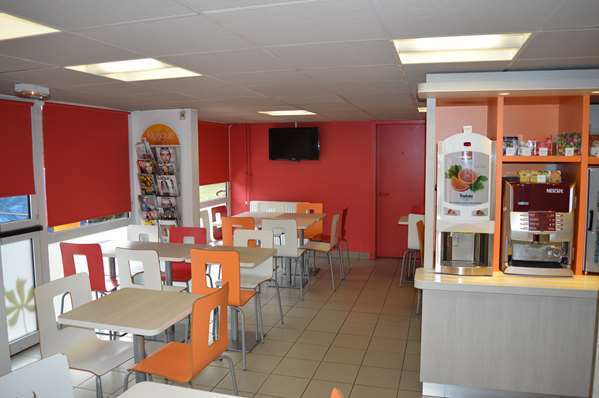 Places to eat nearby - recommend Le Flunch in nearby Auchan supermarket. Car park locked overnight so seemingly secure. Thank you for taking the time to write this positive comment. We are pleased to hear of your satisfaction and hope to see you again soon. Room clean and tidy, but air con would be beneficial, as very hot and stuffy making it difficult to sleep. 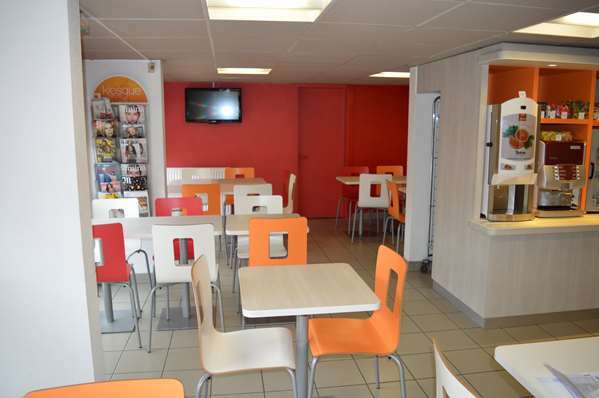 Well placed as easy access to motorways and places to eat nearby - Le Flunch in Auchan good value for money. Thank you for this comment. We are pleased to hear of your satisfaction about your stay and have taken good note of your remark about air conditioning.